"Above everything; you're a beautiful person. You're words and thoughts are a must to me. I can feel that you're in love with your work, your choices, the objects you choose. But also your vision and the ethics connected. That separates you from just a practical person and a practical worker. You're a creator. Very important too; you're generous, because you share your experience daily." "Still profiting from the workshop I took with you in 2012. 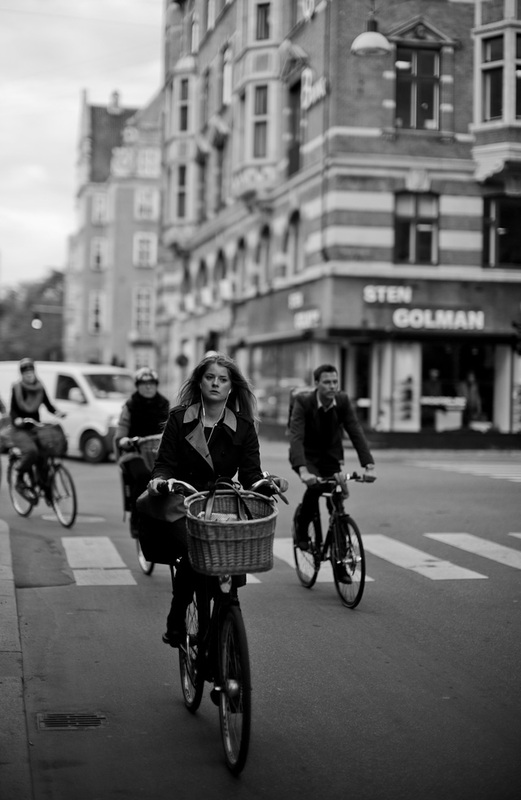 I am lucky enough to be a proud owner of the Leica M now with a 50mm and 28 mm …. I’m an avid reader of your homepage (and your FB postings) and always learn something new." Thanks to change in schedule I was in Denmark om October 4 and could visit the Gallery Images by Jan Grarup in Copenhagen and see the exhibition of Jan Grarup's photos of Danish soldiers in Afghanistan, as well as bought my self a signed book. 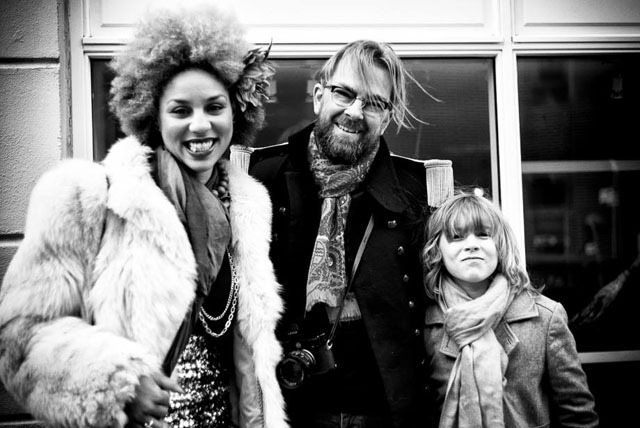 Joy Villa, Thorsten Overgaard & Robin Isabella von Overgaard outside Gallery Images by Jan Grarup in Ryesgade 77, Copenhagen. "Thanks to Thorsten, and thanks to everyboy else at the workshop. Simply awesome! Already so much more productive!" It was a rather international crowd, including my co-judge from I-SHOT-IT.COM Birgit Krippner who visited Copenhagen between getting her award in Paris the week before, and a photo project in Israel the week after. Quite a few people of the 200 guests had jumped on an airplane from somewhere to visit Jan in Copenhagen. 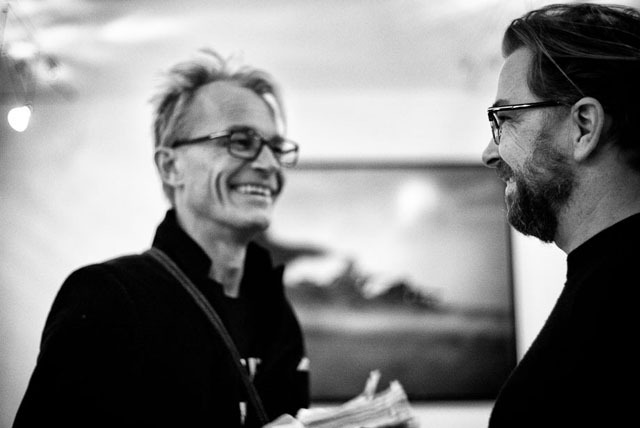 Jan Graruop and Thorsten Overgaard. © 2013 Birgit Krippner. A bonus was that I also got to meet Jan Grarups now 14 year old daughter who took the photo of Jan for the LFI frontpage (LFI/Leica Fotografie International). Inside her dad had a 16 page feature about his Afghanistan project, a book and photo project made with the Leica M Monochrom about the tatoos the soldiers have. Many of them symbolizes memories, friendship and their beliefs in life. See the CNN story on the project. Jan Grarups daughter Marikka Grarup making sure I get a signed copy of the LFI she did the frontpage of. The book was available in Danish on the day. Somehow the publishing house Gyldendal.dk - Denmarks largest and most prominent - had not seen the potential in making this photo book in English. So hang on and find it on Jan Grarups website (or mine) after November 1, 2013. 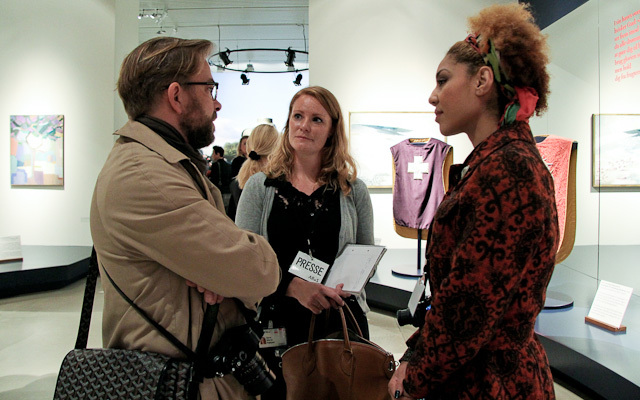 Robin and Birgit standing by outside Gallery Images by Jan Grarup whilst Joy Villa does a video interview with the young upcoming photographer, Marikka Grarup. "I remember your words, but more so the energy behind them: Value yourself, don't work for someone else, travel the world, have your own business. It's yours. Go for it ... bit by bit, I'm going for it." Due to schedule change we did not jump out the door after one day in Denmark. Paperwork can get done, backups, prepping exbitions, writing on books, visas for China, bookkeeping, archiving, video projects and a lot of other stuff. "Thanks a lot for your marvelous M9 website!" We got inteviewed for Kultursøndag (Cultural Sunday) at Program 1 on DR (Denmarks National Radio). Click here to listen to the program in Danish. Sign up to the mailing list (top of the page) to be in the know! Thorsten von Overgaard in Copenhagen. © 2013 Birgit Krippner. 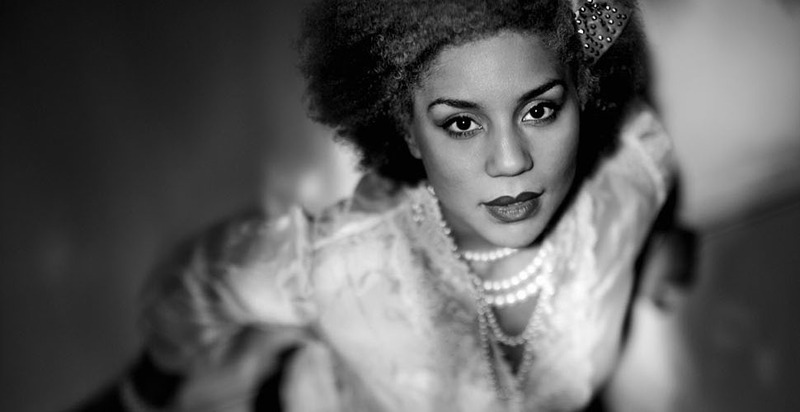 Above: Joy Villa in Paris. Leica M 240 with Leica 50mm Noctilux-M ASPH f/0.95.